Common Credit Card Myths is the subject of the following guest post from a financial writer looking to offer their insight into the often confusing world of credit cards. The amount of credit cards on the market at the moment can be a little daunting to a first-time borrower. When used correctly, credit cards can provide an excellent way in which to keep on top of your finances and pay up front for something you need now. This could be bills, the deposit on a flat or cash towards a new car. Myth: If you have never had a credit card before, there won’t be any difficulties in getting one. You may assume that simply because you have never had a loan before, you’ll have a good credit rating. Your credit rating is what a lender will check before approving you for a loan, and if it’s a poor rating your chances of being approved will be compromised. Even if you haven’t every borrowed before, your credit rating can be affected by defaulted payments on utility bills from some suppliers, your phone bill and your council tax bill. If you appear in court thanks to deferred council tax payments, your credit rating will be severely affected. If you have defaulted on a payment of a credit card or loan, it stays on your report and there’s nothing you can do about – that is, unless the information is incorrect. As aforementioned, you don’t have to have had a credit card or loan before which you struggled to pay in order to have a poor credit rating. So if your rating is bad, you can’t get a card – right? This is not true. 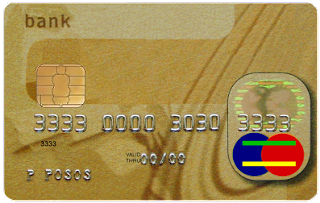 Many credit card providers, in the instance of your rating not being good, will offer you a higher interest rate in order to cover the risk to them – but still offer you the card. It’s important to be certain that you can pay back the elevated interest every month. If you cancel your credit card, you could actually hurt your score. By cancelling cards, you’ll be increasing your debt-to-credit ratio. Applying for a new card will not affect your credit score. That said, if you apply to multiple lenders at the same time, each lender will leave a ‘footprint’ on your credit score for other lenders to see – this doesn't look good. Always apply for credit with good time between each application. Interested in guest posting or writing a sponsored post? 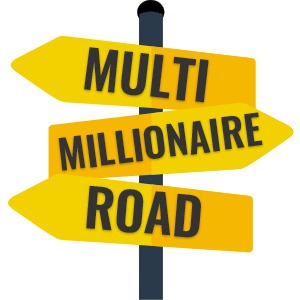 Feel free to send me an email (mrmoneybanks<at>multimillionaireroad<dot>com), find me on twitter @millionairer0ad or comment. re myth number 2: removing negative information. While I agree with you, that once you have defaulted on a payment it shows on your credit history, you can have a note included. I defaulted on my mortgage payments for 3 months in a row, because I had just started a new job and need the money to cover the cost of commuting. Soon after I started over paying my mortgage and eventually paid back the 3 months i was in arrears. 3 years later I had a note included on my file, explaining why i had defaulted in the first place. It seems to have made a difference, because since then I've not had any troubles applying for credit!! 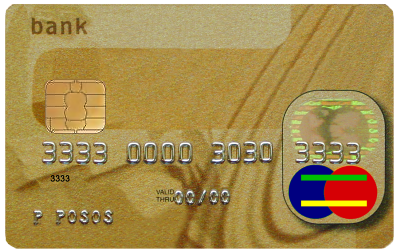 Thanks for adding the myths on credit cards. I'm using credit cards from long before but I never feel something like making some myths for using it. All you need to keep track is just having a good control on your finance. Payroll Service Valencia. Well, it was quite interesting to go through these myths. Keep sharing.